Home / Celebrity / Winnie Mandela / Zoleka Mandela shares unbearable details of her last Days With Ma Winnie! Zoleka Mandela shares unbearable details of her last Days With Ma Winnie! It’s been a few months since the passing of Ma Winnie Madikizela Mandela and her granddaughter has had a tough time coming to terms with her death. Zoleka and her grandmother were very close and inseparable. For the first time since Ma Winnie’s death, Zoleka has shared how she feels knowing she has to live without her grandma. 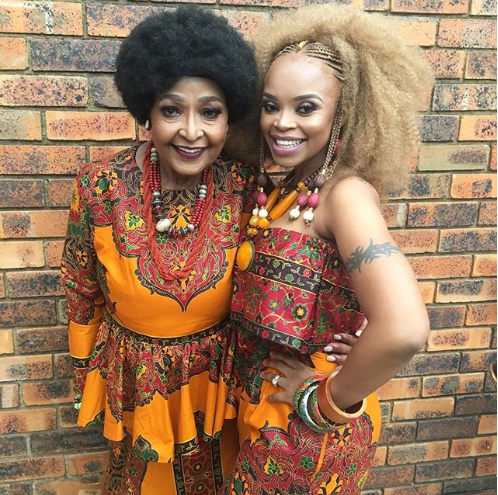 Taking to Instagram, Zoleka shared a heartbreaking message on her last days with her grandma. “I have the memories of the last few days constantly streaming through my mind. You’ve said more to me in your visits, their dreams but I wish you had said something to me on Friday when we attended your last Good Friday service together,” she wrote. Zoleka opened up about the guilt she carries for not having been strong enough for her grandma to tell her she was dying. “I know I can’t bring myself to pray but with each day that passes, I wish I struggle less with why you left without saying goodbye and with staying up all night so scared and angry about having to live the rest of my life not knowing why you chose not to tell any of us that you were dying,” she said.